An effective chemist strength cream specifically targeted at the virus that causes cold sores. 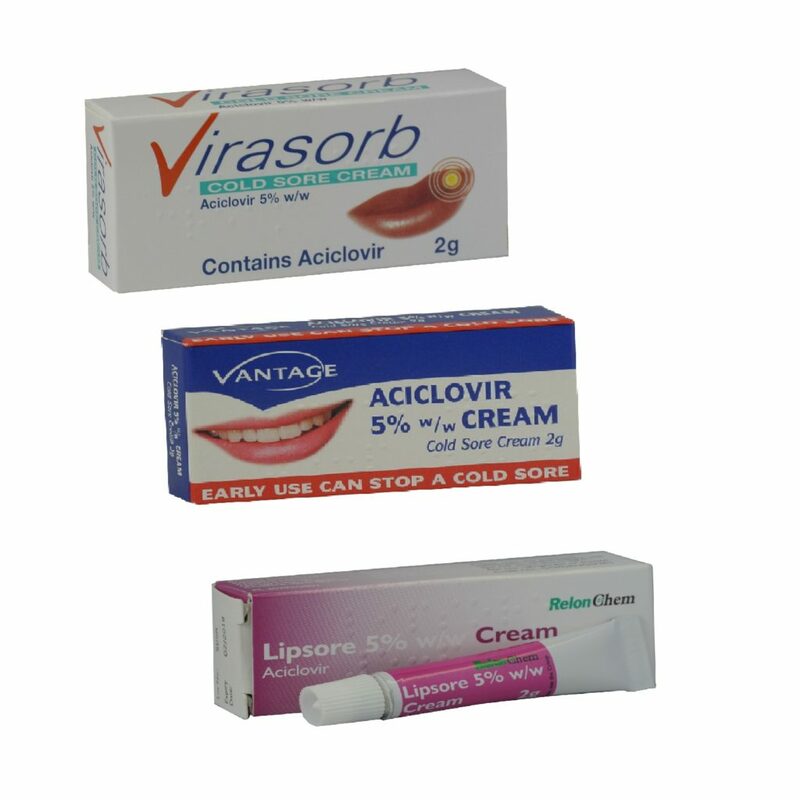 Aciclovir cream has the same active ingredient, 5% Aciclovir, as Zovirax and Virasorb. Aciclovir cream is efficiently absorbed into the skin to fight the virus that causes cold sores and rapidly help you get back your healthy lips and skin around the lips. Best used at the time of the first tingling sensation but will also reduce the healing time after the blister has formed. As this is a generic medicine brand, packaging may vary. Suitable for all ages, see the patient information leaflet for more information, click here.